Program participants are provided with housing by one of our cooperating partner organizations - Intellitemps. 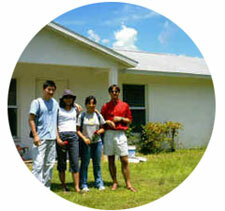 Three of our housing units are located in LaBelle, one is located in Gainesville. Each participant has available a private bedroom, basic domestic equipment (washer, dryer, pots/pans/dishes, towels, sheets, TV, air conditioner, fridge, vacuum cleaner, etc. ), utilities (water, electricity), internet access and shared PC in each house. Please be advised that upon formal acceptance to the program you will be asked to sign a Housing agreement and then will need to strongly adhere to the policies stipulated in that agreement. Also note that we expect you to reside in the housing we provide during your stay in our program.